Law enforcement organisations apply heavy penalties on licensed premises that permit, or fail to deter, drug-related activities on their premises – including producing or supplying controlled drugs. The illegal acts of drug use and supply in pubs and clubs can cause damage to trade and reputation, and can create the potential for other criminal activity such as extortion and violence. The covert use of drugs for spiking drinks for the purpose of sexual assault, theft or violence, is an increasing problem in some sectors of society. Pubs and clubs are the perfect environments for the criminal act of drink spiking, with victims becoming unsuspectedly incapacitated within minutes. Consequently, without a serious and sustained effort on behalf of the licensee, there is risk that the pub’s licence could be revoked (which would impact their livelihood and reputation) and it could have enormous and detrimental consequences for the victims of these crimes. Drug Lab 118 products can act as a powerful detection and deterrent solution in protecting bars and clubs in the detection of illicit substances and in the protection of customers from unsolicited drug use. Drug Lab 118 products can act as a powerful deterrent. They are safe, easy to use and require very little training. The use of Drug Lab 118 products in licensed premises provides the licensee with the tools to screen all areas where drugs may be used or sold. Raised awareness of drug activity will aid the development of additional deterrent measures such as CCTV, increased security, a more stringent stop and search policy, and additional staffing in vulnerable areas. These measures would give the licensing authority and the law enforcement agencies confidence that the licensee is taking a serious approach to deterring drug use in their club or bar, and indicate the value that they place on their licence. Most psychoactive substances (and hence most illegal drugs) contain amines. 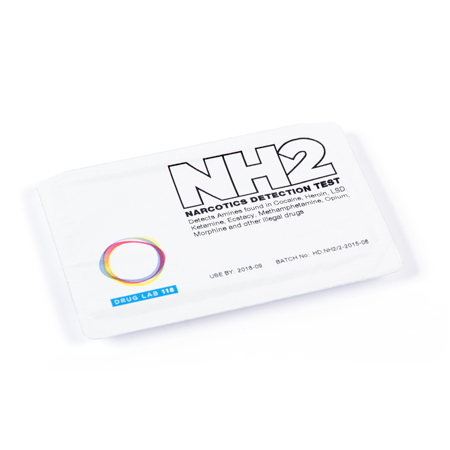 The NH2 is the only available instant swab-based test for amines. Through its unique science, it facilitates the instant and effective screening of people and surfaces, and can be a valuable tool in the detection of illicit drugs. The test chemistry produces a colour change with cannabinoids. 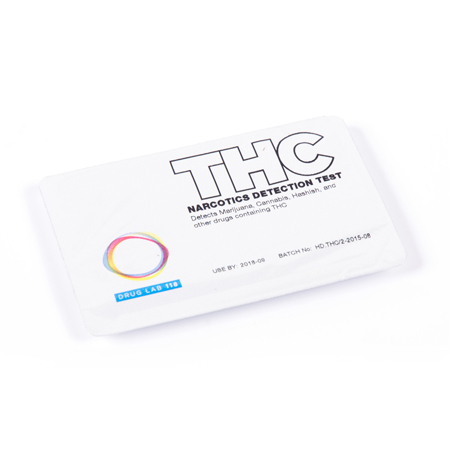 Similar to the NH2 in application, the THC test is the only available instant swab-based test for cannabinoids. 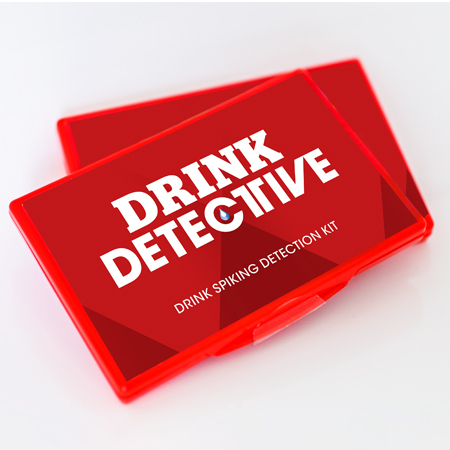 Ideally, the Drink Detective should be available for purchase (such as in a vending machine) and used for testing potentially drug-spiked drinks by bar staff in all bars and clubs.